Actress-poetess Meena Kumari aka Mahjabeen Bano, starred in over 90 classic, cult films in the 30 years from her childhood to her death. Now, the Tragedy Queen of Indian cinema is back on the silver screen. Osianama as part of its ongoing Womanhood festival brings to the Indian audiences, rare original publicity material and priceless memorabilia from Meena Kumari’s films and a retro of her best films, Pakeezah, Parineeta and Daayra, straight out of Osian's Archive & Library Collection on February 25 at Osianama At Liberty. Besides the film, Osianama at Liberty will display the Pakeezah and Daera paintings, Kohinoor and Benazir Portraits, besides the Poster of Meena Kumari ki Amar Kahani, Behana, Phool Aur Pathar and the images of Sahib Bibi Aur Ghulam among others, an opportunity that is unmisseble. "The memories of Meena Kumari reflect a deeply complex and contradictory soul which reaches out to the world to be understood and loved anew; a true creative spirit and individual, and yet rooted in tradition, wanting to just be a simple child once upon a time like all, but forced into becoming Baby Meena, her childhood stolen and thereafter it always seemed that she pursued love and freedom to be herself with an innocence and depth which can only be called tragic and brave. She is a true icon for Womanhood & Cinema, absorbing all, breaking all, in the search to be herself. Her life truly represents the ironic truth of - from dust to dust - but what a full life in those short 41 years. Along with Nargis and Madhubala she represents the feminine iconicity just as Mother India, Mughal-E-Azam and Pakeezah represents a different trinity of Indian cinema,” avers Neville Tuli, Chairman, Osian’s Group and the driving force behind Osianama. Meena Kumari’s portrayal of Chhoti Bahu, in Sahib Bibi Aur Ghulam (1962) is one of her most memorable films, that bought her critical and commercial success, alike, besides winning her the coveted Filmfare Award, that had eluded her with nominations earlier with Aarti and Main Chup Rahungi. Meena Kumari’s other memorable films include Baiju Bawra (1952), Parineeta (1953), Azaad (1955), Ek Hi Raasta (1956), Miss Mary (1957), Sharada (1957), Kohinoor (1960), Dil Apna Aur Preet Parayi (1960). And of course, her last memorable film Pakeezah. Yours to check out the Meena Kumari Fest at Osianama at Liberty on Feb 25. And check out the memorabilia from Osian’s Archive and Library treasure trove on view. Based on a Sharat Chandra Chattopadhyay novel Parineeta, this Bimal Roy film is the second adaptation of the book the earlier one being in Bengali. The film is best-known for Meena Kumari’s portrayal of the character as well as the dialogues between her and the hero, Ashok Kumar. Daera by Kamal Amrohi, sees Meena Kumari as the frail bride married to a much older, and sick man (Nana Palsikar) and her desire for her neighbour (Dilip Kumar’s brother Nasir Khan) Meena Kumar’s portrayal of the pathos of the character is something that haunts your memory, forever. Pakeezah, again a Kamal Amrohi film, sees Meena Kumari in the role of a courtesan Sahibjaan, who is born to a courtesan who dies at childbirth after being spurned by her lover’s family, is brought up in a brothel and grows to be a courtesan. Salim Ahmed Khan (Raaj Kumar) convinces her to elope with him, and renames her Pakeezah (One Whose Heart is Pure). Sahibjeen is recognized by one and all everywhere, and she refuses marriage and returns to the brothel, only to take on the task of dancing at Salim’s wedding. An interesting climax follows. This is Meena Kumari’s last film. Osianama pays tribute to Ingmar Bergman, one of the greatest directors ever, with a major Retrospective. Auteur of over 60 films and 170 plays, Bergman, is best known for films such as The Seventh Seal (1957), Wild Strawberries (1957), Persona (1966), Cries and Whispers (1972), Face to Face (1976), Autumn Sonata (1978) and Fanny and Alexander (1982). His cinema often dealt with death, illness, faith, betrayal, bleakness and insanity. Bergman, one of the greatest film directors ever, has an unmatched body of cinematic & theatrical creativity, sensitive to most of the profound ideas concerning human existence, where the role of his women characters are bold, authentic and imbibed with a strength which only a fully lived life can express. “It is not only the sexual confidence, or emotional rawness of his feminine characters which created the unique cinematic experience, but his virtual full control over his art, with collaborations with master cinematographer Nykvist, eminent theatre actors such as Max von Sydow, Linn Ullmann, Bibi Andersson, among others which allowed a truly meaningful cinema to emerge. India has not seen such a comprehensive body of work by this master, for even after his death barely a few films were shown in a relatively small space. Osianama at Liberty are proud to showcase this cinematic genius who deeply grasped the human and feminine psyche in all its complicated starkness,” avers Neville Tuli, Chairman Osian’s Group and the creative force behind Osianama. Cornelius, a pretentious music critic planning to write a biography on famous cello master Felix went to his place and starts residing his summer place. Being faild to see Felix in person , Cornelius talks with all women who live with him and use these stories to get what he wants. After receiving a diary young ballerina Marie, set off a journey to a remote island nearby Stockholm where she recalls her first love Henrik thirteen years ago and the tragedy happened for them. Harry steals a boat to spend the summer alone on an island with his lover, Monika. But when the couple returns home, their clashing personalities drive them apart. Troubled by childhood memories a psychiatrist (Liv Ullmann) is driven to the verge of a mental breakdown. Sony Entertainment Television’s upcoming show Ek Duje Ke Vaste vaunts a stellar cast with Nikita Dutta playing the female lead and debutant Namik Paul paired opposite the actress, recent we hear that the talented actor Vishal Jethwa has been roped in to play a pivotal role. The State Government of Maharashtra has geared up to project the unique strengths of the state with the Magnetic Maharashtra campaign as a part of the Make in India Week. A Government of India initiative, the Make in India Week will celebrate the best & brightest in Indian manufacturing alongside the various business and cultural strengths of the state. The event will be held from 13th- 18th February in Mumbai. As a host state of the prestigious project, Maharashtra’s potential will be showcased on a gigantic scale to a global audience. India’s leading events and brand activation company, Wizcraft International will work closely with the state government to build a momentous and groundbreaking event via innovative on-ground events and solutions for Maharashtra. Wizcraft plans to take the project of ‘Magnetic Maharashtra’ to a whole new level and help the State government create a landmark campaign. Maharashtra and its uniqueness will be showcased every day of the week, with each event being held at iconic locations in the city of Mumbai. On the inaugural day, the Maharashtra Stall at the Make In India Centre at MMRDA grounds, will feature an exhibition of the most innovative products and manufacturing processes that have been developed in the state. Wizcraft has designed a state of the art exposition with progressive designs, seamlessly merging traditional elements of the region with a futuristic touch. The first among a series of events is the Chief Minister’s Gala Dinner. The decor at the entrance and walkway will be based on the rich culture and heritage of Maharashtra. The guests will be greeted with the traditional dhol lezim and hostesses dressed in the traditional Maharashtrian attire. Hosted by Kabir Bedi, the gala dinner will see a string of exciting performances including live music acts, Lavani renditions and a theatrical performance all orchestrated to bring you a unique experience of the state. Touted as the biggest night of the week, Mumbai’s favorite Girgaum Chowpatty will witness a spectacular extravaganza titled ‘Maharashtra Night’, a cultural, entertainment and musical showcase of the state and its spirit. Bollywood megastars Amitabh Bachchan and Hema Malini will be seen opening the much awaited night with aplomb. Bringing to life a visual spectacle, Hema Malini will be seen doing the Ganesh Vandana, while Amitabh Bachchan will recite a poem on Maharashtra that has been specially written by lyricist-adman, Prasoon Joshi. Other outstanding acts include the enactment of Maharashtra’s iconic leader Shivaji’s Coronation, a folk lore performance on the state’s various dance forms Povada, Tamasha, Gondhal, Koli and Lavani to name a few. Other performers include Sonakshi Sinha, Katrina Kaif, Aditya Roy Kapoor, Aditi Rao Hydari, Vivek Oberoi among others. Superstars Aamir Khan and Anil Kapoor will also be present. Musicians Ajay Atul, Pritam, Mohit Chauhan will also be a part of the performance line-up. Next in line is a Fusion Concert- a confluence of traditional and international music with roots of Maharashtrians sounds, creating a unique artistic expression. Bringing to life the essence of the state, a mystical ambience will be created with famous flute player Suhas Joshi’s musical welcome, warli art lit panels, an organic and earthy stage created with fabric and play of light, ‘gadda’ style seating and mood lighting to name a few elements of the event’s design. Musicians like Karsh Kale, Dhruv Ghanekar among others will perform and take musical magic to the next level. Showcasing Maharashtra’s rich textile heritage, the Textile Show will take place in Chhatrapati Shivaji Maharaj Vastu Sangralaya. Famous fashion designers like Vikram Phadnis, Anita Dongre, Neeta Lulla, Shaina N.C and Anju Modi will showcase their collections in tandem with the theme. The fashion extravaganza will also be amplified with a musical touch, as singing sensations Manasi Scott, Raghav Sachar & Raaga Trippin add magic to the evening. Hon’ble Prime Minister Narendra Modi along with Chief Ministers, top State Ministers and Union ministers are slated to attend the event being organized by the Union government, along with the Maharashtra government and the Confederation of Indian Industries. Close to 8,000 domestic industries with leaders like the Tata Group, Reliance Industires, JSW and MNCs like GE, Boeing, JCB, Renault, Twitter to name a few will participate in the Make In India Week. Representatives of 68 countries with over a thousand delegates as well as heads of state will attend the Make in India Week to be held in Mumbai this month. Actor Shoaib Ibrahim seems to be looking extremely fit and has really worked on himself and his body. We are left wondering what the actor is up to? 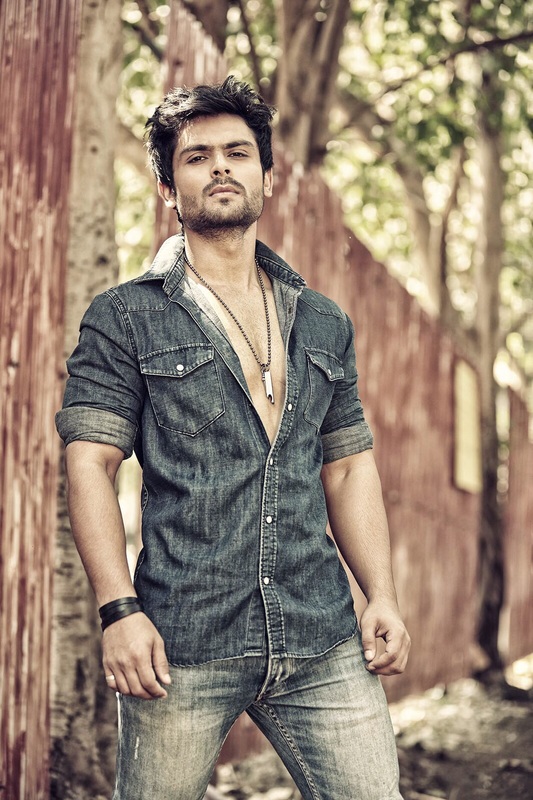 Recent rumors suggest that while the actor ha been offered lead roles on television, he's taking his time to decide on his next project after Saasural Simar Ka. 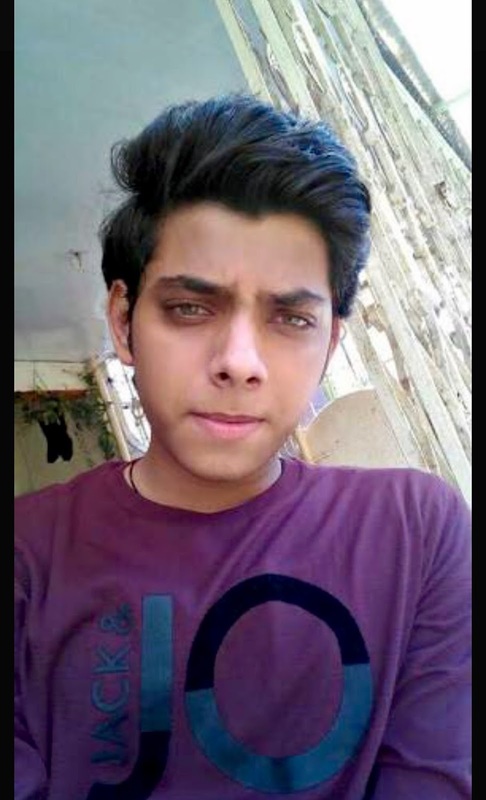 Our source informs us, "Shoaib has offers from both television and films. He's not selective about the medium but more so the role. Since television has progressed and there are so many international finite series coming, he wouldn't mind doing a tv project also." When we contacted Shoaib he confirmed saying, "Yes there is one project in the pipeline already. Besides that I have offers coming my way but I only want to take up something that I am convinced about." Priyanka Chopra, who will be essaying the role of a female IPS officer in Prakash Jha’s Jai Gangaajal, recently shared a teaser video of the film’s making on her Instagram account, which shows the ace director taking his crew members to task. Jha is making his full-fledged acting debut with the cop drama and has been getting rave reviews for his performance in the movie, ever since the trailer of the film has been unveiled. Priyanka, who is presently shooting for the second season of her American TV show Quantico, is also making all the right noises with her tough cop act. Now, it remains to be seen how the witty filmmaker will respond to his star's playful post. Prakash Jha, who is presently busy with the city promotions of his next Jai Gangaajal, was recently in Chandigarh to promote his Priyanka Chopra starrer and the filmmaker met over 150 female cops in the union territory. The ace filmmaker stated that he made the film on society-police relationship as the subject is very close to his heart. In fact, he roped in Neeraj Kumar, former Commissioner of Police, Delhi, as a consultant as he didn’t want to cite any incorrect laws and rules in the film. The trailer of the movie was screened for Chandigarh’s fearless female cops and it received an overwhelming response from them, much to the filmmaker’s delight. Vega Tamotia and Rahul Bhatt, who are playing key roles in the film, were also present at the do. The female police officers even posed for selfies with the film's team, post the event. The Official Game of the much anticipated action film Ghayal Once Again is scheduled to be released today. The film stars Sunny Deol & Soha Ali Khan in lead roles. 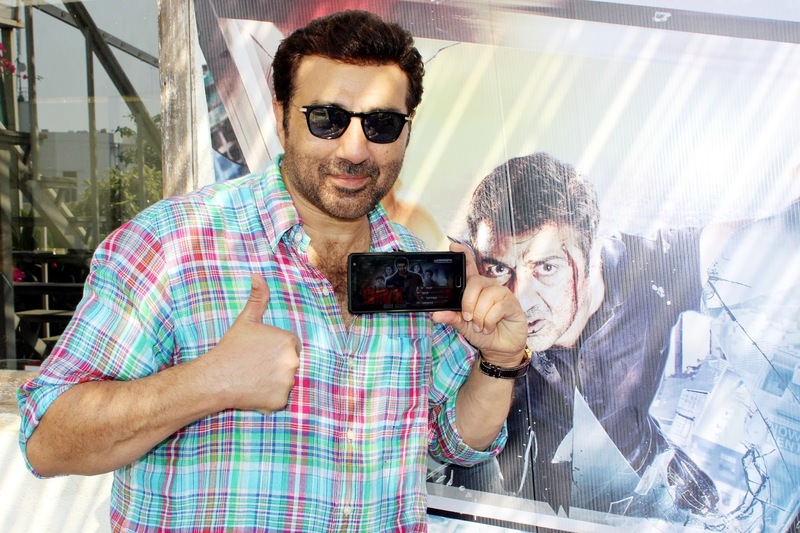 The release day of this much anticipated action blockbuster will also see the official launch of the Ghayal Once Again mobile game. The official Ghayal Once Again game is published & distributed by FunOnGo Entertainment Pvt. Ltd., a digital entertainment specialist across movies, music, games and applications. The company provides customized platform and managed services to clients such as Samsung, Micromax, Karbonn, Intex, Spice & Gionee. The game publishers have designed the game in a manner that gamers get a real good feel of being in the shoes of their favorite and legendary action hero Sunny Deol. The official game 'Ghayal Once Again' is based on Director Sunny Deol’s much acclaimed action movie of the same name. Ajay Mehra (from previous Ghayal-1990), after finishing off his life sentence, starts a newspaper called Satyakam. Working with a strange team of RTI activists, ex-criminals and ilk; and even stranger ways of unearthing and presenting truth, Ajay Mehra has earned quite a fan following among the youths, who finds his fearless and unforgiving approach in dealing with all kinds of sociopaths very inspiring. Among his diehard fans are these four teenagers who happened to have received bravery medals from him once. These four friends once out on photography expedition, accidentally record a murder on a camera. The footage turns out to be explosive as it clearly shows two of the city's most powerful people involved in the murder. Well what happens after this is a series of twist and turns where the four kids get entangled and have to fight it out with the most powerful man of the city. The movie stars Sunny Deol, Soha Ali Khan, Om Puri & Ticsa Chopra. This game is based on the story of kids who are in a grave situation similar to the film and Ajay Mehra has to save them. You will enjoy this game with Ajay Mehra who fights for truth and justice and saves kids. The fighting game has got four levels in it and at each level your hero Ajay Mehra save one kid. Along with the awesome graphics and sound, this game has got all the improved abilities that will keep you hooked to it. You will notice the fearless and unforgiveable approach of Sunny Deol in the game. You will feel Sunny’s all-time aggressiveness while playing the official game. Speaking about the release of the official Ghayal Once Again game, Vijay Singh CEO of FunOnGo Entertainment said; “We see the mobile phone as a fantastic gateway for film makers to reach their potential consumer. Our team plays an active role in publishing, marketing and distribution of the games that we do. Mobile games provide for an immersive experience and turn curious bystanders to engaged fans. The Ghayal Once Again – Official Mobile Game is available for users download on Android, IOS marketplace and other popular app stores online. Directed by Jon Favreau (“Iron Man”), based on Rudyard Kipling’s timeless stories and inspired by Disney’s classic animated film, “The Jungle Book” is an all-new live-action epic adventure about Mowgli (newcomer Neel Sethi), a man-cub who’s been raised by a family of wolves. But Mowgli finds he is no longer welcome in the jungle when fearsome tiger Shere Khan (voice of Idris Elba), who bears the scars of Man, promises to eliminate what he sees as a threat. Urged to abandon the only home he’s ever known, Mowgli embarks on a captivating journey of self-discovery, guided by panther-turned-stern mentor Bagheera (voice of Ben Kingsley), and the free-spirited bear Baloo (voice of Bill Murray). Along the way, Mowgli encounters jungle creatures who don’t exactly have his best interests at heart, including Kaa (voice of Scarlett Johansson), a python whose seductive voice and gaze hypnotizes the man-cub, and the smooth-talking King Louie (voice of Christopher Walken), who tries to coerce Mowgli into giving up the secret to the elusive and deadly red flower: fire. The all-star cast also includes Lupita Nyong'o as the voice of the fiercely protective mother wolf Raksha, and Giancarlo Esposito as the voice of wolf pack’s alpha male Akela. “The Jungle Book” seamlessly blends live-action with photorealistic CGI animals and environments, using up-to-the-minute technology and storytelling techniques to immerse audiences in an enchanting and lush world. The wild adventure swings into theaters in 3D on April 22, 2016.